A few days ago while cyber-stalking other writers (I mean taking an interest in them), I came across the name Emily Schultz. I knew I recognized the name from somewhere and assumed she must be one of those current literary darlings whose names pop up in the by-lines or book reviews of my favorite websites (Emily Gould and Emma Straub are everywhere!). But once my Google search returned a bit more on Ms. Schultz, I realized there was another reason why I knew her: I had read her manuscript submission nearly two years ago when I was an editorial intern on the West Coast. This is the second time, post-publishing house internships, that I’ve encountered a published novel I once read as a submission. The other will remain nameless–I thought the manuscript was self-indulgent and overly self-aware of its literary-ness. I have not read it as a complete book, though I suspect from the reviews I’ve seen online and which hip(ster) places are calling it a good book, that not much has changed. 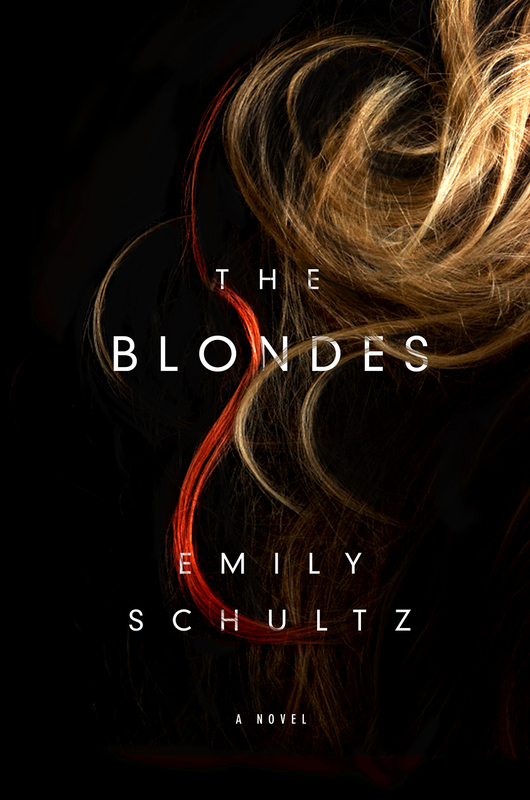 Emily’s book, The Blondes, is something else entirely. The book is literary science fiction: a mysterious epidemic has taken over the world that causes blonde women to become violent and aggressive, almost like they’ve been stricken with rabies. The story follows one woman’s struggle through the panic and mass hysteria. Underneath the eye-catching concept and well-managed plot (with it’s almost silly concept of pretty women attacking each other, it could have easily spun into camp), sits some interesting social commentary on women, beauty, femininity, and the way these are viewed by our culture. There is also a lot to be considered about women’s roles in society and our rights over our own bodies. I love a book with good feminist undertones, and this was one ripe with them. I still have my manuscript review I wrote for The Blondes as an editorial intern. Of it, I said: “This story left me with the same uneasiness that The Handmaid’s Tale did. It’s the kind of story I would tell other women to read.” And it’s true. I did tell people about it; it was one of four manuscripts I truly fought for as an intern (of the four, only two were published). The stars aligned last night and I was able to attend Emily’s reading in Manhattan. Hearing her read aloud the words I had read across the country, as a grad student, in what seems like another life, gave me a nostalgic feeling. When she finished reading, I approached her like the awkward fan girl I am and word vomited praise at her. She was kind and appreciative. I am so happy to see her book find a home at St. Martin’s Press. It comes out in 2015 and I hope it sees the success it deserves. Stumbling across Emily and her book again, nearly two years after I read the manuscript, gave me hope in second chances. Maybe the publishing industry has room for a little optimism after all.